Are you involved in any way with the stock market? Maybe you’ve got some stocks. Maybe you manage your own portfolio. Maybe you have an account with an online brokerage. Maybe you even trade stocks and options regularly. UNLESS… you’re using the Winning Trade System. There has never been a course like this. The Market Doesn’t Give a RATS About You or Your Money! The market offers unlimited opportunities to players who understand what is going to happen nextin the market. It does not apologize for taking your money when you’re wrong. It doesn’t feel bad when you’re caught off-guard by a surprise move. In fact, the market doesn’t have any feelings at all! The market is not a person and it doesn’t care one little bit about the money you’ve gained or lost. It fluctuates in a way that frustrates the majority of players, and rewards only the 5% of traders who understand that it’s NOT news, technical analysis, or earnings that make the market move. The top 5% of professionals who make consistent profits in the market look at the market differently than ordinary traders (aka “retail traders”) . If you answered “yes” then you’re trading based on emotion. The market is like the weather. They’re both powerful natural forces, yet you would never get mad at yourself or at the sky if the weather turned nasty, would you? The top 5% of traders look at the market like the weather… they depersonalize the market and respect the power that it has. Just like a tornado or a major storm, the market can be volatile at times, but it also has its calm, sunny days too. These are totally natural occurrences in the cycle of any natural environment. You would never say that the weather is “out to get you”, but how many traders think the market is out to “get them”? Many have that attitude… and that’s why they lose money. Or perhaps you frequently complain about the market being “rigged”, and you get upset when the market makers do something you didn’t expect. Perhaps worst of all, many emotional traders get anxious or depressed about the market, and even lose sleep over it. and WITHOUT Worry or Fear! Another way in which the market is similar to the weather (if you know the right way to look at it) is that you can tell what the next few days are going to be like–maybe even the next ten days or more–based on the current pattern. If we can predict the weather with a certain degree of accuracy, why not stock prices? They are both powerful, natural forces. A weather report is just like that… it identifies what’s coming. Will there be a storm or calm weather? Will the market get volatile or will it ride calmly to new highs? Once you learn to see the market as a natural force like the weather, you begin to see that large rallies and large declines are forecast well in advance, just like major weather patterns are forecast ahead of time… if you know what to look for! When low pressure develops, the weatherman knows precipitation is likely. When high pressure abounds, calmer and sunnier skies prevail. In the same way you’ll be able to easily read the signs of the market and what’s about to happen, instead of just reading the news about what already happened. In 1987, as a young man, I decided to start trading the markets. In my very first week of trading I made $1,500. To say the least, my wife and I were thrilled… especially since I was making less than $300 a week at my job! However, I was never quite able to duplicate that first week’s success again, and, in fact, I ended up losing my entire account in the next year and a half. I learned all about channels and flags, and head and shoulder patterns, and indicators such as MACD, Stochastics, Wilder whatevers, Bollinger Bands Booms and Busts, etc… until my mind was bulging with so much trading information and data that it hurt. But I was prepared to battle and win in the market…or so I thought! The good news is, this time I did not lose all of my money. The bad news is I didn’t make anything either. After trading for another one and a half years, I broke even. 15 years later after a successful career in another field, studying the stock market and its inner workings, burning the midnight oil more than a few nights, and developing my own indicator he decided to try again. This time I hit paydirt. I discovered, after 20+ years of study that a certain phenomenon occurs in the market, on a regular basis, which determines with near perfect accuracy if the market will start a new downtrend or start a new uptrend. Reading this phenomenon is just like reading a weather report, and I’ve now been using it for many years with incredible accuracy. This phenomenon shows me when to go long, and when to go short. How would you like to see those kind of profits in your account? I can’t guarantee that you’ll achieve any specific results, but what I do 100% guarantee is that I’ll be giving you the EXACT SAME system and strategies that I use in my own trading account to make a consistent income like the screenshots above. From October 2007 to March 2009, the DOW dropped from 14,164 to 6,547. Imagine if you had gone short in October 2007, or shortly thereafter. You could have ridden the market all the way down for massive profits. In this training you’ll learn what you could have looked for in that period that would have alerted you to the phenomenon happening at the time. You would have seen a very specific pattern emerge as this new phase of the market took over. Had you gotten in when the signal came, your profits would have been astounding. From March 2009 to October 2012, the DOW more than doubled, rising from 6,547 to 13,610. Imagine going long within a few weeks of the low on March 9th, 2009, when the market had been beaten to a pulp. Again, you could have realized incredible profits. While most of the “retail” traders got slaughtered during this time of volatility, many professional traders were raking in millions of dollars on the way down AND on the way up. I personally profited big time during these moves. In this training program you’ll be shown exactly what was done and what you could have instructed your friends and family to do based on this phenomenon. You’ll get to watch and listen as I explain this strategy in detail, and I’ll show you the exact pattern to look for that would have tipped you off that the market was going to rally strong. 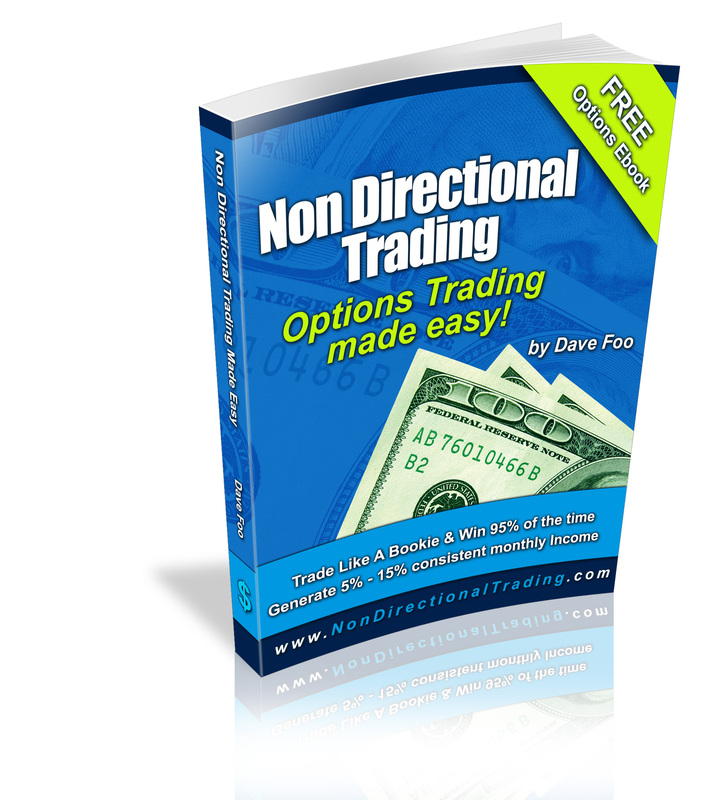 You’ll discover what to look for, why the decline was over (this alone is worth the price of this training!) and the best way to profit from the inevitable rise in prices. If you had followed the Winning Trade System back then, you could have potentially exploded your portfolio and become very wealthy during those events. The good news is, those kind of events WILL happen again. The only question is whether you will grab this system today so that you’ll be ready next time! You DON’T need those kind of major market events to make a lot of money in the market. This system shows you how to generate consistent profits regardless of whether the market is going up, down, or sideways! In fact, much of the Winning Trade System is devoted to the proprietary “SFW Strategy” that I developed. SFW stands for small frequent wins. This is a strategy that I am constantly using to generate a solid flow of monthly income from the market. Once again, it’s a lot like looking at a weather report. Sunny day? The market’s going up. Great, I’ll make some profits using my strategy for those kind of days. Cloudy? The market’s going sideways. No problem, I’ve got a strategy for that too. Stormy? Maybe even a tornado? No problem. Even if the market is crashing, I’m NOT worried. I stick to the Winning Trade System, and I know I will make money regardless of where the market goes. This training program explains in detail not only how to easily identify these occurrences, but how to identify the recurring patterns that tell you WHEN to go long or short and how to take full advantage of the market for maximum profits using options as well as ETF’s. The phenomenon revealed in this course, and the precise strategies, are considered by most traders to be “advanced” strategies because only the top 5% of all traders understand and use them to consistently to make trading profits. More importantly, I have SIMPLIFIED these advanced strategies and explained them in a way that any level of trader can immediately put them to use! This is NOT information that you can find for free on the Internet, or even buy anywhere else that we are aware of. STOP GUESSING which way the market is going to go. STOP using OUT-DATED and overused technical analysis. STOP FOLLOWING the crowd, and what they are doing. STOP listening to the TALKING HEADS on TV. It’s time for you to START using the foundational methods that the PROS use to make massive profits in the market. I’ll teach you what pattern to look for along with the phenomenon that gives you a clear signal to go long or short… and why it’s dangerous to act before you get this signal! We know you don’t want to wait to get them in the mail, so we’ve made the entire course INSTANTLY available directly to your computer. You can watch the videos on ANY computer. They are compatible with both Windows PC’s, and Macs! We’re also giving you multiple ways to watch the videos. You can download them directly to your computer, so you can watch them any time. OR you can simply log into the membership area at any time to stream them online, which means you don’t have to download them if you don’t want to… and you can watch them from anywhere in the world with an Internet connection! The videos are HIGH QUALITY, and full screen size, so you can see exactly how to trade… step by step! Like I said, there has never been a course like this. If you’re a retail trader and you’re not trading with this information you are not trading the way professionals trade and so you’re not doing as well as you should. But once you learn to see the market as a natural powerful force like the weather, you’ll begin to see that large rallies and large declines are well forecast ahead of time just like major weather patterns are forecast ahead of time–if you know what to look for. $197.00 Value – Yours free when you join today! Would you like to grab your own piece of the multi-trillion dollar Forex trading pie? 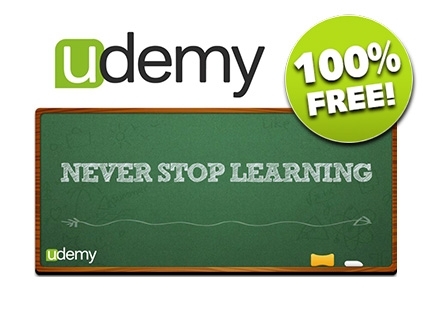 This is an entire additional course showing you how to successfully trade the Forex market. You’re getting the complete video course with 21 videos totaling over 5 hours of step-by-step training! And you’re getting it as a BONUS today! $47.00 Value – Yours free when you join today! I created this mini-course to teach a very powerful indicator in the market, which can show you how to set yourself up for explosive profits. I use this strategy to rake in the profits time and time again. While I do cover some day trading in the main course, it is is NOT a “day trading course”. However, I am able to apply my principles to a certain type of day trading, and I use this powerful strategy to grab profits on demand. This 50 minute video will show you exactly how I do it. As I’ve explained, the Winning Trade System reveals a very important phenomenon. If you do not know what this phenomenon is, you’ll probably always lose in the market and it doesn’t matter how much experience you have. Without this knowledge you will NOT be a professional top 5% trader… GUARANTEED. With this knowledge you have the same opportunity professional traders have and that will give you an advantage that less than 5% of all traders possess. You’ll have the highest level of trading knowledge available and finally be in the WINNING 5%. This course will give you every aspect of predicting the market with amazing accuracy and everything you need to finally succeed in timing and market direction. When you understand how to see what’s happening in the market by recognizing the phenomenon, you’ll be able to predict it as easily as the weather. TRY it and if you don’t think so, then you can ask for a refund. It’s that simple, and the reason I can make that kind of guarantee is because it really is that powerful. I want to ensure an optimal quality experience for each and every one of my customers, which means I can not sell too many memberships. For one thing, I want to make sure I’m able to answer as many of your questions as possible, and that won’t be possible if I allow too many people to join. Second, I’m going to make sure that the membership area does not get bogged down by too many members. I insist that the downloads are nice and fast, so I will need to restrict the membership. The doors may be closing at any time, so please grab your spot now if this is something you would like to be a part of. You can sit on the sidelines, or get into the game and start winning as a professional trader… the choice is yours. Order now, it’s 100% risk free. regardless of whether the market is going up or down? YES, I want the Winning Trade System! Yes, I want to make money with stocks and options! Yes, I want to grab a spot in this very exclusive membership! Yes, I want instant access to the entire program and bonuses. Try it risk free today! We believe in this program so much that we’re giving you complete access to the entire program and all the bonuses at our risk, not yours! We’re willing to do this because we believe it will truly show you how to improve your trading strategy. If you’re not satisfied with the program, just let us know within 60 days of your purchase and we’ll refund 100% of your purchase. After 60 days, all sales are final. P.S. There has never been a course like this. If you’re not trading with this information you are trading with a huge handicap. This is the way professionals trade and so you’re not doing as well as you should if you’re not using it.